The CW has announced the upcoming premieres of Star-Crossed and The 100, as well as the return of Whose Line Is It Anyway?. 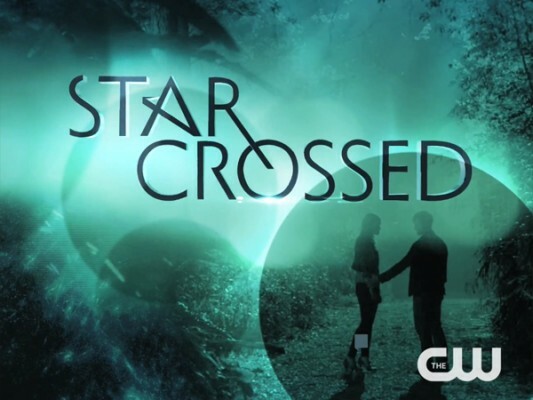 A futuristic story of an alien/human romance, Star-Crossed will premiere on Monday, February 17th, at 8pm. It will lead into Beauty and the Beast (which returns from a winter break on January 13th). What happens to Hart of Dixie? The southern drama returns from a winter break on January 13th and will run on Mondays until February 10th. It will then take a break and return on Friday, March 21st, at 9pm — leading out of the one-hour debut of Whose Line Is It Anyway? Arrow and The Tomorrow People will return from their winter breaks on Wednesday, January 15th. Tomorrow People will move to Mondays starting March 17th, leading out of Star-Crossed. Beauty and the Beast will go on hiatus. The 100, a post-apocalyptic adventure drama, will then premiere on Wednesday, March 19th, at 9pm — leading out of Arrow. What do you think? Do you plan on watching any of the new shows? What do you think of their plans for the existing CW series? More about: Arrow, Arrow: canceled or renewed?, Hart of Dixie, Hart of Dixie: canceled or renewed?, Star-Crossed, Star-Crossed: canceled or renewed?, The 100, The 100: canceled or renewed?, The Tomorrow People, The Tomorrow People: canceled or renewed?, Whose Line Is It Anyway?, Whose Line Is It Anyway? : canceled or renewed? please renewed The Tomorrow people . ireally like it , don’t stop it and also The 100 is the best please continue casting it. I LOVE this show!!! Please renew STAR CROSSED, it has great potential for a Season 2!! PLEASE!! Rio de Janeiro – Brazil. I think it looks like a good lineup, but I really hope that “Beauty and the Beast” is renewed for Season 3. I hope the CW isn’t thinking of replacing “Beauty and the Beast” with “Star-Crossed”, which sounds like a copy-cat series. I prefer the cast and chemistry between Kristin Kruek and Jay Ryan which has meshed nicely. The series has very exciting episodes which have gotten better and better and deserves to be renewed for a third season. PLEASE RENEW “BEAUTY AND THE BEAST” FOR A THIRD SEASON.